Mattha is maharashtrian traditional buttermilk or chaas which is often made during the summers to fight dehydration or acidity brought by it. It is a simple drink made special by serving during the weddings. During my childhood, I remember most weddings that happened at my native places, used to have a fixed menu more or less. There were no buffets or fancy live counters. Food was cooked in enormous quantities and no matter how predictable the menu was, it was always delicious. In maharashtrian menu, if your thali had jalebi (or jilebi like we say) then it had to be accompanied with mattha. No knowledge about this combination. However, I also noticed that whenever the menu had masala bhat (spicy rice) it was serve with this spicy buttermilk to go along. This one is pretty basic to make but tastes yummy. 3) Add water to thin it down. This should be thinner than milk. Love mattha. This is the season for it. The matha that we make is a little different from this one...shall post it sometime. 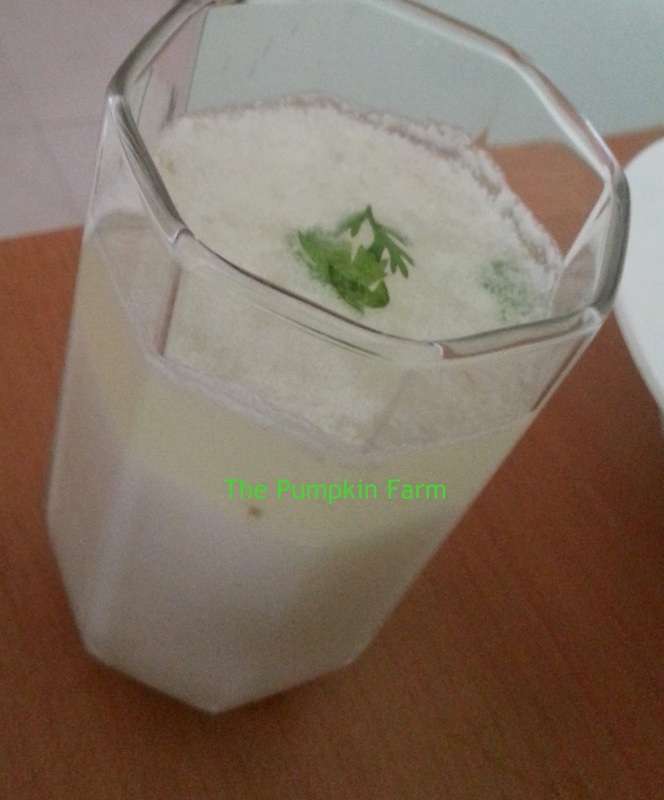 A healthy drink to beat the heat..Love this spiced buttermilk. Summer is here.. this is a good thirst quencher..
No other drink will beat this one..So refreshing and well prepared..
very refreshing and very soothing drink!!! so perfect for the hot summer!! Lipsmacking refreshing chaas for a fiery hot day !! Its one of the best summer chillers! Perfect summer thirst quencher. Spicy and delicious.